What's the highest score you ever achieved in one SCRABBLE game? 500? 600? 700? I think Plantation, Florida resident Robert Kahn has you beat. On March 3rd at the Lauderhill, FL SCRABBLE Club #276, Kahn scored an impressive 801 points. Amazingly, he did not break the record for having the highest scoring game, although he does hold second place. Michael Cresta, a carpenter from Lexington, Massachusetts, holds that record with 830 points in 2006. Read about Cresta's record breaking game in the article "630! How a Massachusetts carpenter got the highest SCRABBLE score ever" by Stefan Fatsis, and check out the video below from ABC News (see the full video here). Although Khan did not break the record for highest scoring SCRABBLE game, he did tie a different record and shattered another in the 40-year history of official competition record-keeping. Khan scored seven bingos during his 801-point game to tie the record for the most bingos in an official SCRABBLE club or tournament game in the U.S. and Canada. One of his seven bingos was a so-called "bamdinger" — a triple-triple word score. His seven bingos were REECHOED (185 pts! ), ENVIOUS, BEPAINT, HAEMOID, INSERTS, TEARIEST, and STARTLE. So which record did he break? Point differential. Kahn's 801 beat his opponent's score of 231 by a whopping 570 points, shattering the record for point differential between scores of winner and opponent within the same time period and geographical area. Most SCRABBLE players can't even reach 570, let alone win by 570. Kahn is actually a huge SCRABBLE expert and has been competing in official tournaments for over 30 years. 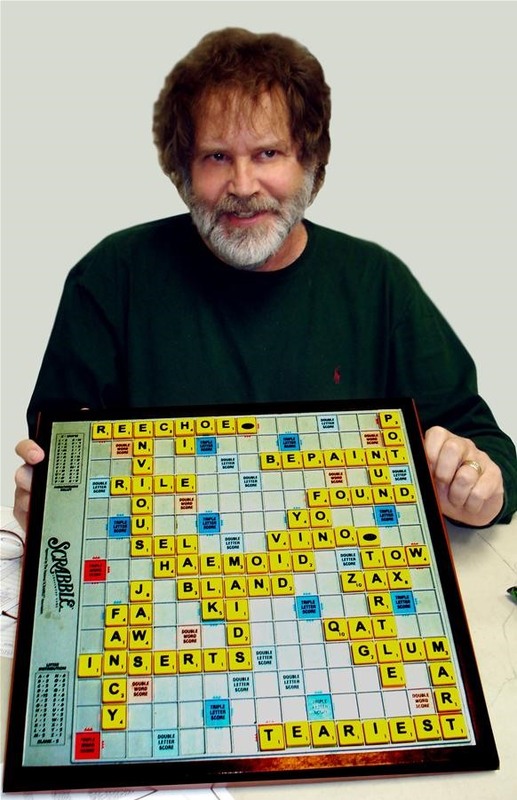 He's currently a member of the NASPA (North American SCRABBLE Players Association) Advisory Board, and was a long-standing member of the NSA (National SCRABBLE Association) Advisory Board. When interviewed about his record-breaking game, he said "It's definitely like an out-of-body experience. I felt as if I were channeling a higher source." "Records for club and tournament Scrabble competitions began sometime in the mid-1970's. During that period it is believed that the total number of official games played is in excess of one million (actually, doing a rough calculation it's more like three million)! If the three million games figure is reasonably accurate, at two players per game, the total number of opportunities to accomplish a given result would be somewhere in the six million range." Wow Seen a carpenter score 830 with the word quixotry.